Van gathering and music festival produced by Go-Van at the Domaine du Radar. A campground is also available for those who want to pitch their tent. It is not possible to sleep in your car on the site, you must have a tent or a van. Domaine du Radar welcomes us for a second year to celebrate vanlife and share our best road trip stories of the summer. Every van owner (max lenght 22ft) are invited to camp at the bottom of the mountain for a weekend full of beautiful encounters, outdoor activities and music. 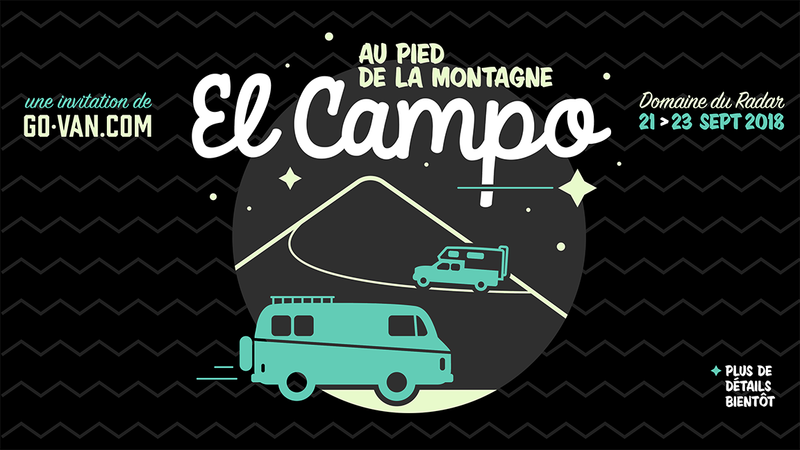 Thursday evening: The vans and campers are invited tosleep at the Domaine but no activity is planned. You can select the 3 nights option to include Thursday as well. Friday: Vans are arriving all day. Projections and music in the evening. Saturday: Animation and contest all day. Speakers, live band, DJs and campfires. Sunday: The vans must leave the site for 13h.